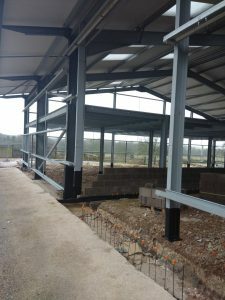 Farwell Plant Hire and Groundworks are continuing work at Bailey’s Hill Dairy in Wimborne St Giles, Dorset. 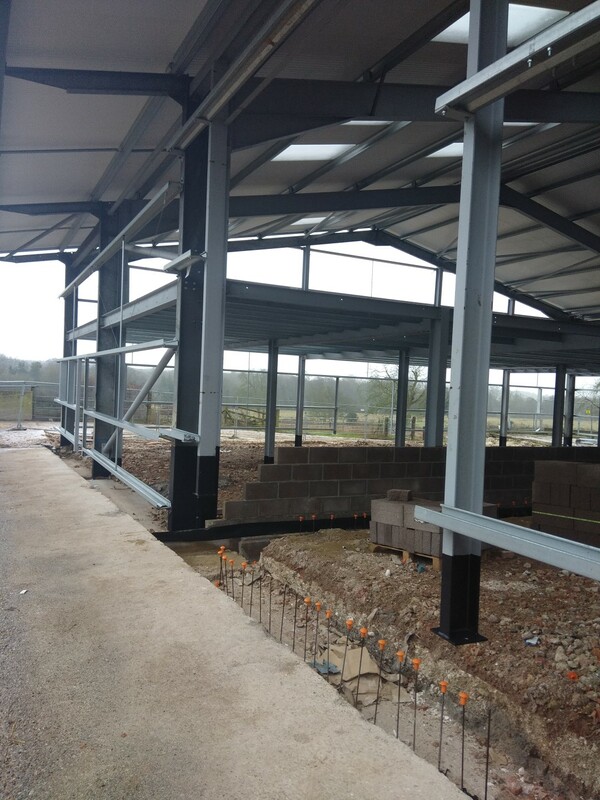 We are working in partnership with Curtis Construction on the conversion of a livestock building into a large industrial unit for the Shaftesbury Estate. 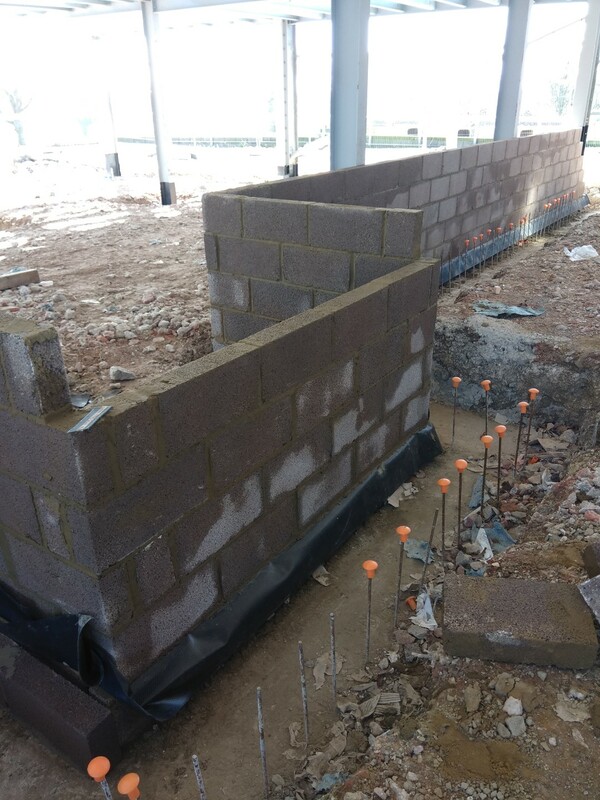 We have recently completed the foundations, retaining wall, perimeter blockwork, stone sub-base, drainage installations and we are now well underway with the casting of the ground bearing floor slab. 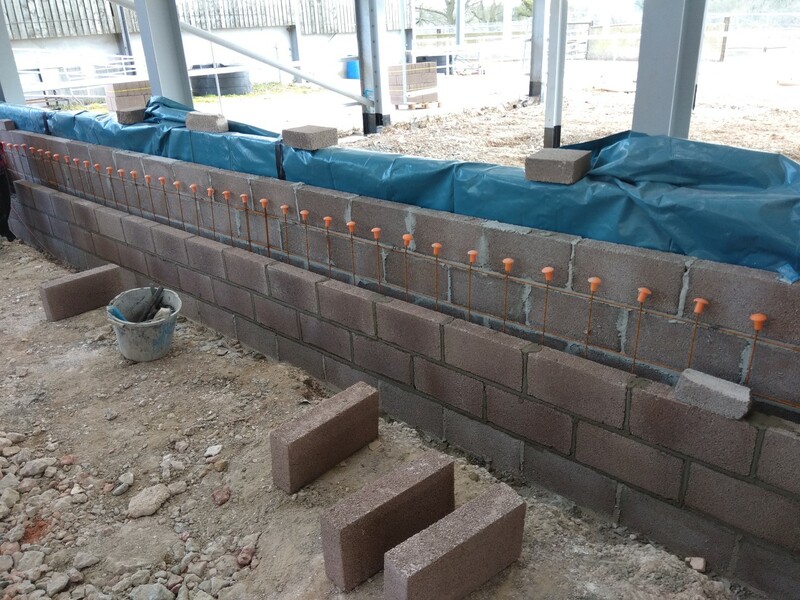 Concrete has been supplied by Blandford Concrete.